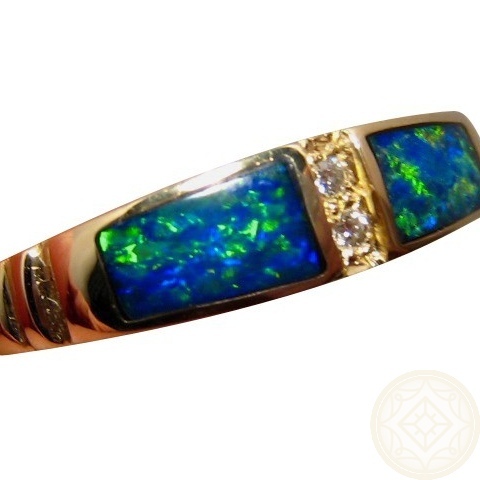 An inlay Opal ring with two Diamond accents in a 14k Gold band. 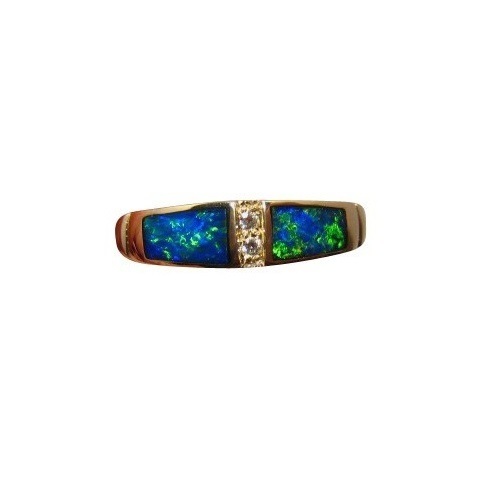 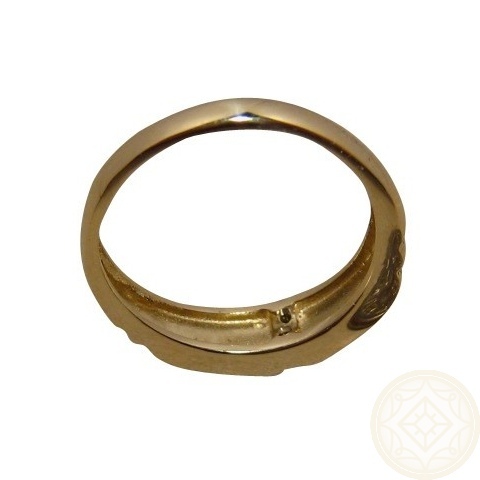 A simple yet stylish Opal ring in 14k Gold with two inlaid Lightning Ridge Gem Crystal Opals divided by two quality Diamonds. 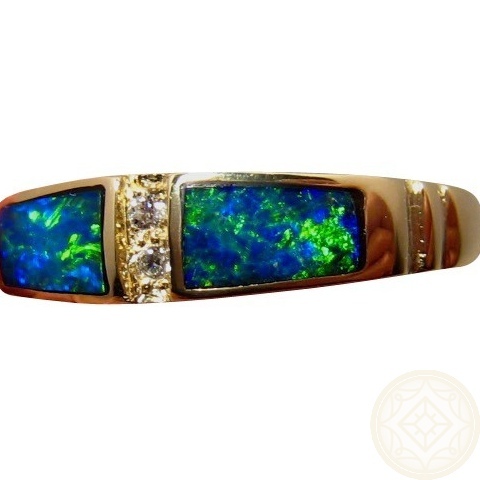 The Opals display very bright Green with some Blue and the Diamonds each measure 1.5 mm of very good quality.